The approachable, efficient and experienced staff at Arnold Lawyers all understand and appreciate that, for some people, the requirements of having to engage the services of a lawyer can be very stressful or difficult. Or, on the other hand, it may be because it is one of the most exciting times in your life, especially if you happen to be buying a new home or setting up a new business. That’s why we pride ourselves on our compassionate approach to your personal situation and understanding of your individual needs for requiring our assistance, whatever your situation. Whilst it is not every day that you will require the services of a lawyer, for those times when you do, you can be confident that you will be treated with respect and understanding by the dedicated staff at Arnold Lawyers. We endeavour to provide you with sound advice, practical strategies and bring you the best possible results. Our small but committed and experienced team of professionals always aim to provide premium services to both our individual and business clients to help you protect your interests in a comprehensive range of legal situations at cost effective rates and in a friendly, family atmosphere. 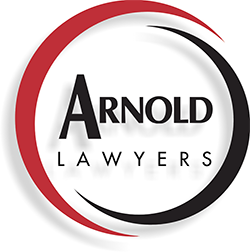 Arnold Lawyers are conveniently located in Elgin Street Maitland. We have a wealth of local knowledge and contacts which can be utilised to assist you and serve your best interests. In addition, Adam Slattery, the Principal of Arnold Lawyers, as well as our other team members, are also available to make home or hospital visits if required, which can be of particular significance and assistance to house bound, ill or elderly clients. Arnold Lawyers has built up a very good reputation in the Maitland area and we are also able to call upon the services of a Panel of Barristers who specialise in all areas of Court work. As part of our service to the community, we also look after Legal Aid clients for both de facto, family law and criminal matters. To find out more about what we can offer you, take a look at services, our people or contact us to arrange a consultation with the appropriate team member for your particular needs.